We live in a time where the profound impact of technology in everything that we do is so much deeper, so much broader, whether you’re talking about precision agriculture, or precision medicine, the future of connected products, smart cities or smarter factories. Microsoft CEO Satya Nadella talks about AI, MR and Quantum Computing at Microsoft Ignite 2017. Raanah Amjadi, Microsoft product marketing manager, Microsoft Teams at Microsoft Ignite 2017. Rachel Card, Microsoft principal program manager and Terry Farrell Microsoft director product marketing, Mixed Reality, at Microsoft Ignite 2017. 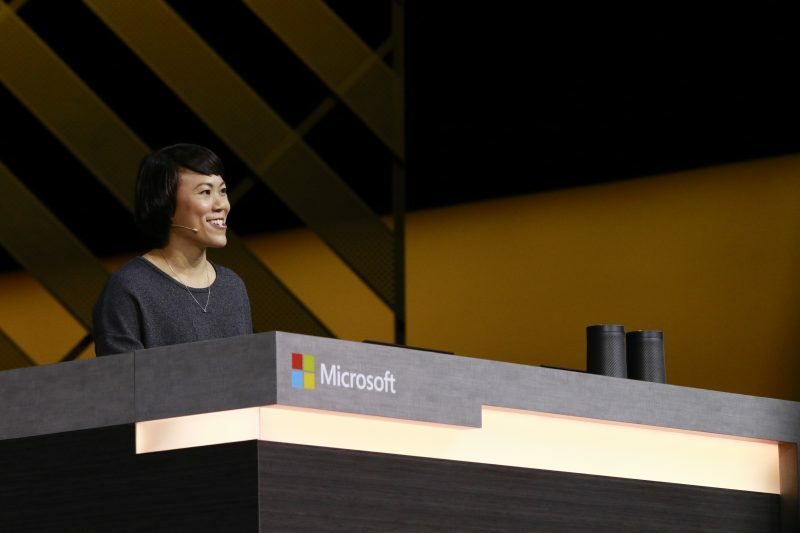 Li-Chen Miller, Microsoft partner group program manager, AI&R, at Microsoft Ignite 2017. Michael Freedman, Microsoft technical fellow, Station Q; Leo Kouwenhoven, Charlie Marcus, Microsoft principal researchers, Qfab; and Krysta Svore, Microsoft principal researcher, QuArC Software, at Microsoft Ignite 2017. Microsoft CEO Satya Nadella at Microsoft Ignite 2017. Scott Guthrie, EVP, Cloud + Enterprise, Microsoft at Microsoft Ignite 2017. Natalia Mackevicius, partner director program manager, Microsoft at Microsoft Ignite 2017. Corey Sanders, partner director program management, Microsoft at Microsoft Ignite 2017. Kirk Koenigsbauer, CVP Office Marketing, Microsoft at Microsoft Ignite 2017. James Phillips, Corporate Vice President, Business Applications Group, Microsoft at Microsoft Ignite 2017. Rimma Nehme, group program manager, CosmosDB, at Microsoft Ignite 2017. Brad Anderson, Microsoft corporate vice president, Enterprise & Mobile at Microsoft Envision 2017. Rob Lefferts, Microsoft partner director of program management, at Microsoft Envision 2017.